For many entering into tournament angling, we start out competing in the tournaments as a co-angler. This means that your name is drawn and you are set up with a boater or you have found yourself a tournament partner. This is a great way to fish tournaments and for myself, I have the ability to learn various techniques that I might not have known. 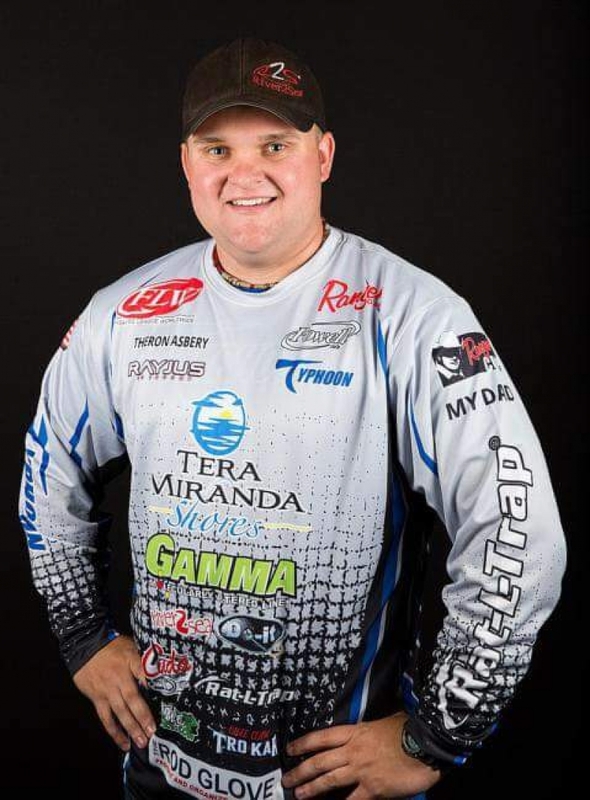 The Rod Glove Pro Staff Theron Asbery is a co-angler in the FLW Costa Tournament Series and has had fished with some of the best tournament anglers, including most recently Gary Yamamoto. We recently caught up with Theron and got to learn a bit more about his story. Theron grew up on Grand Lake o' the Cherokees in Oklahoma and he can remember fishing as some of my earliest memories. His Dad and later his Grandpa were his earliest influences into fishing. Theron explains " I can remember my first rod and reel combination, a Diawa goldcast on a ultralight uglystick, I still have the combination to this day"
He explains that he likes to fish because it is his sanction of peace. He says "I'm so relaxed when I'm fishing, and I don't have to be bass fishing or at a tournament to enjoy it. I could be standing on the deck of a bass boat or sitting on a dock drowning a worm and it all feels the same for me. Going after something I can't see, hear, smell, or having idea when the next bite is going to be is the biggest thrill for me". He is a first generation tournament angler. His late uncle Robby and his Dad competed in a few club tournaments back in their day. However, to be someone that follows a trail and go to different lakes around the country, Theron is the first in my family to ever do so. He got into tournament angling after local Oklahoma guide and retired tournament angler Everett Eaton took him fishing when he was 15. He told his Dad that he had potential to compete and the following year Theron fished his first BFL tournament at 16 as a co-angler. Although he blanked in his first tournament ever; he cashed a check in the next, and the rest is history. His says that every year in the spring, his Dad and him have a lucky point we stand on and catch white bass off of for the freezer. It's a sacred, guaranteed fishing spot. Theron tells us "one night in high school I remember standing on that point when a major thunderstorm was moving into the area. We had a light show like one other. We didn't leave, we stood there among the rain and lightning and filled out buckets full of white bass. Dangerous to some, but I was fishing with my Dad and you can't match that". Some of his highlights have been being in the boat with some of the greatest tournament anglers to ever fish the sport. Learning how they put the pieces together and pay their bills fishing. Having those in-depth conversations about the sport and the industry that you can't find in a magazine or television show. And then having Larry Nixon or Andy Morgan sit next to him at the tournament meetings, that's a highlight because those guys are still his heros. Theron plans for this season are like any other, to put himself one step closer to moving to the front of the boat and being a full-time tournament angler. He would really like to break a top 10 in points in this season of tournaments. Rod Glove has changed my fishing completely because it allows me to be quick, efficient, and thrifty. As a co-angler, I don't have the ability to always store my Powell Rods into a rod locker. Therefore, they can get bunched up and abused a little riding around in the back of a truck or in the front seat. Having Rod Glove products helps me protect my tools that allow me to follow my dream. Rod Glove also helps me when getting in and out of different partners boats; I can have a bundle of rods, not a wadded up mess of line and lures strung everywhere. I would say Rod Glove is a leader in the industry because they put themselves in the shoes of anglers. The company knows how important an investment is, and they try to make life easier. With the added bonus of being able customize color combinations and labeling, Rod Glove is truly the "Profound Asset" to anglers.